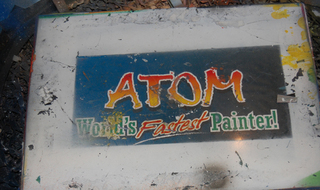 Known as the Rock Star of performance art, Atom is the World's Fastest Painter! In just three minutes, he is able to create a masterpiece without using any brushes! Taking a blank canvas and adding spray paint, creativity, talent and a comical personality, ATOM both entertains your guests and creates unique paintings for them to take home. Written in 60 seconds! 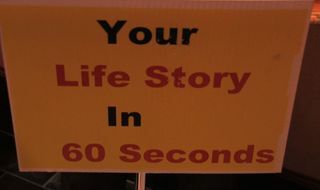 Our 60 Second Novelist is a pro at summarizing YOUR life in 60 seconds based on facts you provide to him! Spice up your event and your drinks with our talented performers who possess great personalities and moves. 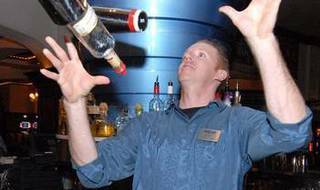 In addition, the performers can do flair bartending. Please discuss with your sales representative. 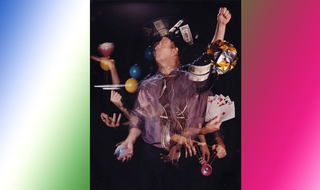 The Man of Many Hats performs a wealth of entertaining acts for your guests to be amazed by. Fun with origami, magic, yo-yo tricks, currency folding, shell & pea game, spinning tops, devil sticks, card tricks, juggling, diabolo, 3 card monte, puzzles & games, and more! Our professional Balloon Artist creates letters, animals, hats, fashion accessories, and more out of regular balloons! 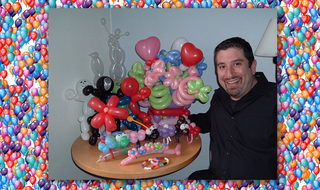 Fun for everyone, our Balloon Artist caters to children and adults alike. Be it 1, 2, or a full troupe of breakers, let us create the excitement on the dance floor wowing your guests with the hottest street moves. 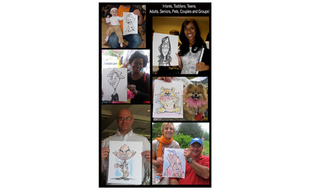 Take home a unique portrait of yourself as our Caricaturist sketches a fun drawing of you! Black & white and color portraits available. 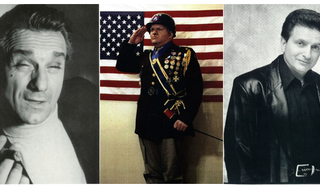 George W. Bush, General Patton, Gene Simmons, Joan Rivers, Joe Pesci, Robert Deniro, the Blues Brothers, and many more available! Since 1989 - at just ten years of age - he has been perfecting his talent on the Etch-a-Sketch. Every creation is uniquely different and cannot be duplicated. What continues to set him apart is his amazing story, his incredibly detailed etches, his worldwide publicity and his uncompromising passion to take his Etches to places no one ever thought possible. His work is guaranteed to draw a crowd; amazing all who watch him create a work of art right before their eyes! 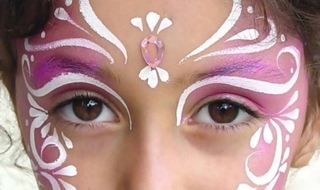 Face & Hand Painting is a fun and traditional way to entertain your younger guests at your event. Boys and girls alike will enjoy their custom artwork completed by one of our friendly artists. Guests may choose from endless designs or create their own while participating in this entertaining activity. Perfect for corporate gatherings, family picnics, birthday celebrations, fairs and festivals and every event in between! 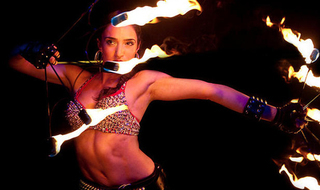 Using torches, poi, and spider webs, our Fire Performers will heat up any event with their outrageous fire performance! Our expert Fortune Teller and Palm Reader will astound your guests with her knowledge and ability to intelligently provide details of one's characteristics and their potential future. 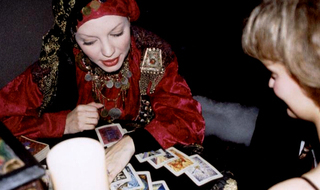 Tarot cards, palm analysis, and more, our Fortune Teller/Palm Reader has plenty of insight to offer. Extremely versatile, incredibly talented, and contagiously positive, our Hoop Wizard is always a fun crowd pleaser! 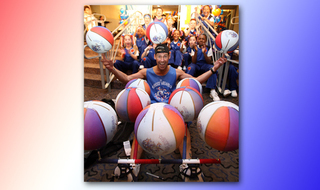 The Hoop Wizard is a high energy, All-American agile genius, performing stunts with multiple basketballs simultaneously and showing guests just how to perform some of his tricks. Fully interactive and always in control, our Hoop Wizard conducts his performances both with excitement and complete safety! 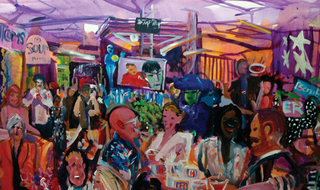 Our incredibly skilled Party Painter observes the setting, events, and formalities of your affair then paints them as he sees them. Not only do you get an amazing piece of art to take home but your guests also enjoy the opportunity of watching our artist paint away! Let your guests feel extra comfortable at your next event by offering them a relaxing massage! Performing interactive entertainment at your event, The Quizzzard is an expert of all types of trivia, facts, and pop culture. He always knows how to motivate a crowd with his dazzling persona. 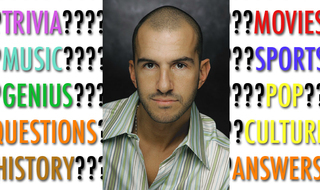 The Quizzzard has entertained for events in the pharmaceutical, financial, and high end corporate market. Guests will be asked a series of Trivia questions relating to Movies, TV, Pop Culture, Music, General Knowledge, and more. 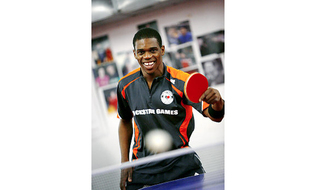 Our Ping Pong Champion will amaze your guests with his gift of table tennis mastery! He will surely be the talk of the party with his demonstration of ping pong tricks and table expertise. As an added twist for fun, The Ping Pong Champion challenges himself by using obscure objects in place of the standard paddle such as cell phones, wood, and whatever can be found around him! Our World Champion Pizza Acrobat is a certified in Classic Italian Pizza style. He is a veteran in the World Pizza competition circuit and places top honors in several categories every year, dazzling crowds with his acrobatic pizza twirling skills as well as designing sumptuous pizza creations. The Pizza Acrobat can also be paired together with his son with whom he can enchant a crowd with their grand routines. Our expert Pool Shark performs trick shots for your guests' enjoyment. The Pool Shark also is a bank of knowledge, explaining to your guests the mechanics of billiards and how his stunts are performed. 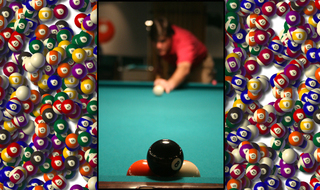 Guests are also invited to challenge the Pool Shark to a round of billiards for their chance to hustle him right back! Stilt Walkers are a fabulous addition to any event! 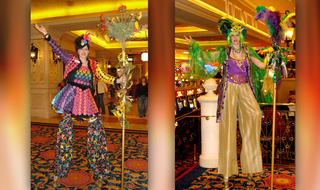 Impressively agile for their height, the Stilt Walkers always invoke a smile from your guests. The Stilt Walkers can be outfitted in various types of costumes which give more flexibility to tie into the theme of your event! 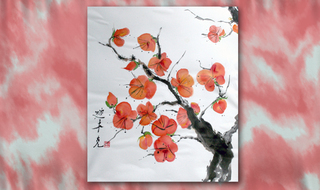 Add a poignant touch to your event by featuring our Chinese Water Color Painter. Our Master Painter provides beautiful depictions for display at your event and for guests to take home and enjoy. 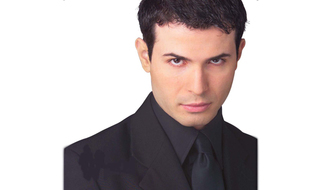 WOW is what your guests will be saying as they are left breathless over this performer's incredible talent...truly a must-see!